Add your courgettes, peppers, tomatoes, onion and vegetable oil into a baking tray and roast in the oven for 25-30 minutes, turning over after 15 minutes. When your vegetables have been baking for 15 minutes, mix the couscous and vegetable stock in a bowl and stir. Cover and leave for 10-15 minutes to soak. 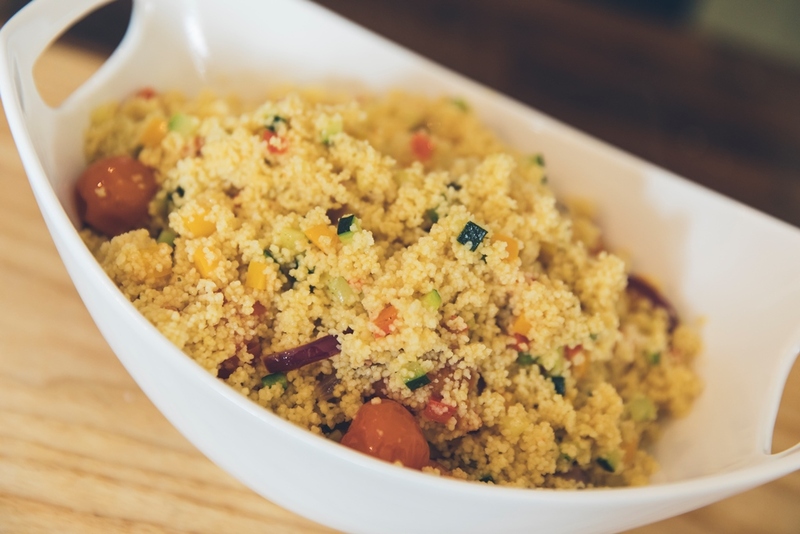 Remove the vegetables from the oven and add to the couscous. Serve with Noel's Cowboy Steak.